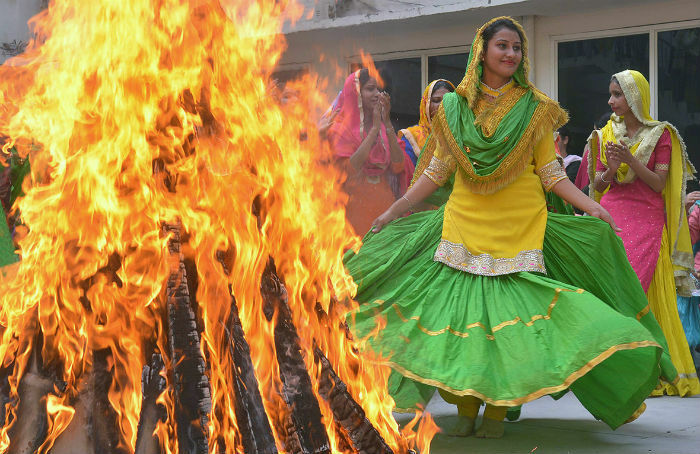 Lohri is one of the most popular festivals of Punjab that is celebrated across North India and several parts of India on 13th January. Sikhs and Punjabis all around India and abroad celebrate this festivity with lots of pomp. 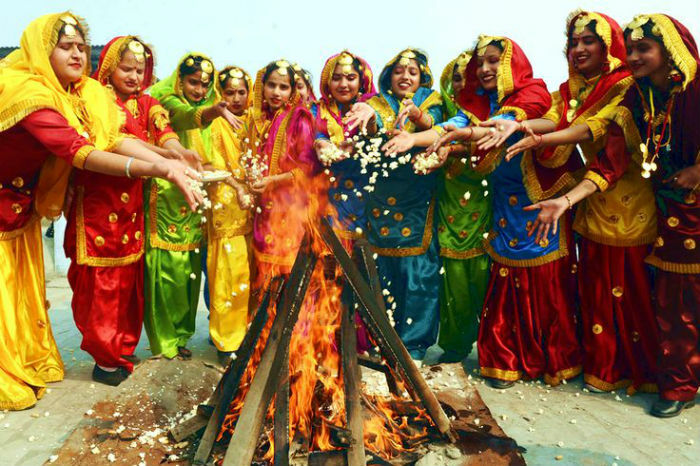 Lohri celebrates fertility and the joy of life. At this time Earth starts moving towards the sun marking the auspicious period of Uttarayan. The festival is very special since it marks the beginning of harvesting season for farmers. Lohri means longest night of the year, it’s a thanksgiving celebration for farmers who harvest the Rabi crop during this period. For Punjabis, this is more than just a festival; it is also an example of their love for celebrations. Due to its significance to fertility, the first Lohri of new borns and married couples is very special hence they celebrate it in style. 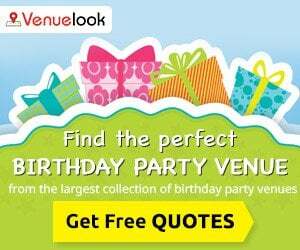 There are special parties arranged with good food, decorations and lots of singing & dancing in such houses. At night, people gather around the bonfire and throw til, puffed rice & popcorns into the flames of the bonfire shouting “Aadar aye dilather jaye” (May honor come and poverty vanish!). Prayers are offered to the bonfire seeking abundance & prosperity. People make merry by dancing & singing traditional songs. A Lohri party is full of joys, excitement, vigor, enrichment, and a perfect one to meet and greet people. The occasion marks with the whole galore of celebrations with a bonfire, folklore, traditional dresses and music in the background. 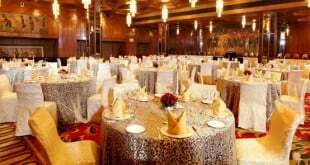 Overall the festivity is full of color, music, party and sumptuous food. The festival is celebrated in style with a dash of musical DJ, extravagant decorations, getting professional dhol players, dancers and singers. 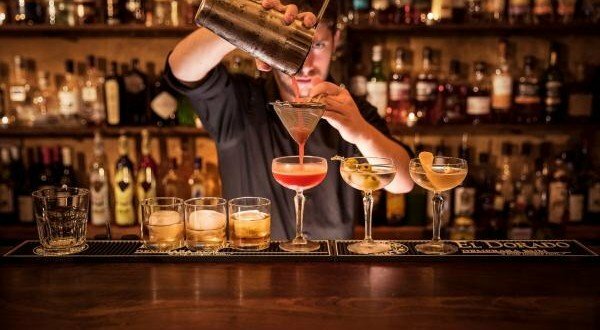 If you are one of a kind who loves to party yet in a traditional style, here are some of the ideas that will help you prep up as a perfect host. 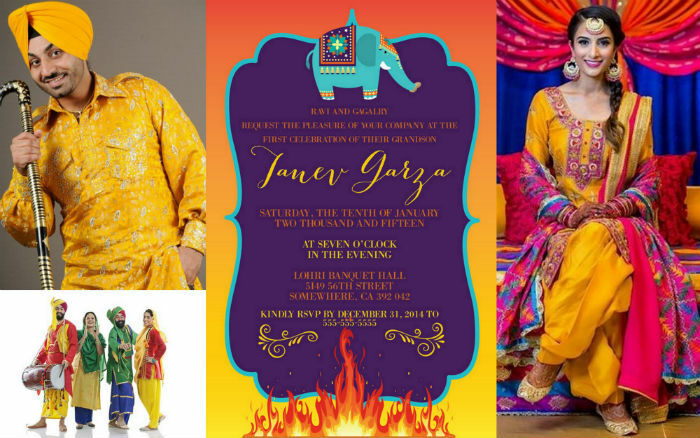 Theme – The theme has to be Lohri and you can include this in your party invites. 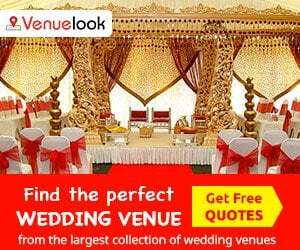 You can ask everyone to dress in their Punjabi fineries – Punjabi suits and jewellery for ladies with juttis and traditional dhotis and kurtas, along with the traditional pagdi for men. 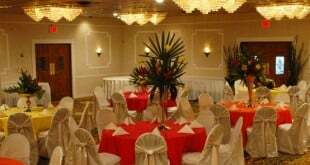 Select a great venue – Lohri is a kind of get-together and seemingly it means, you will have the whole clan with you for this utmost beautiful occasion of the year. You will need an open place as you need a bonfire and place to dance. Bonfire – You can use unused wood for making a bonfire in the open space below your building or the safe place to do it. Ensure the area is safe for bonfire to avoid any mishaps. You can even use twigs, leaves, sticks, and logs of wood to prepare the fire. Food – No matter if there is an occasion or not, the most important thing Punjabis love is “Food”. Plan your menu well in advance and order the food from a reliable source that can deliver on time. The prasad comprises five main items: til, gajak, jaggery, peanuts, and popcorn. Winter savories are served around the bonfire with the traditional dinner of makki-ki-roti (multi-millet hand-rolled bread) and sarson-ka-saag (cooked mustard herbs). 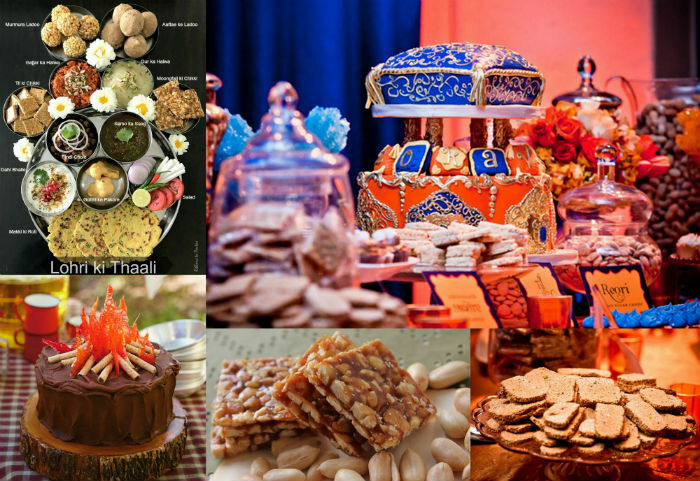 Do not forget to add these and other traditional sweets and savories to the menu. Music – A party is incomplete without the music. You can call in for professional traditional folk culture singers who can sing and dance and make everyone sizzle with music. 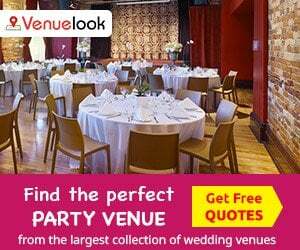 If your party is going to have more of younger crowds then you can even plan a DJ who can play the mix of all generations’ songs and add sentimental value to the celebration. 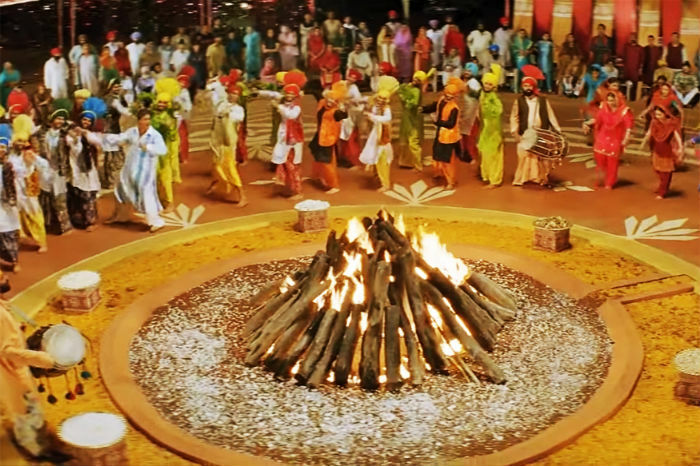 Take a look at our blog on Lohri music. Dance – Traditional Punjabi style dances like bhangra and gidda are loved by all, these are the dances that have been transpired from generation to generation. 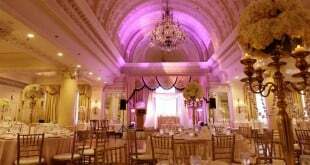 Carry forward this legacy of having traditional dancers to have a joyful Punjabi themed party.